Almost everyone’s heard of dry rot. It is a name that strikes fear in to homeowners! And rightly so. Its fearsome reputation for destroying timbers in property is legendary but, how much do you actually know about dry rot? What is it actually? What can it cause? Should you be worried? Here we will outline the essential information that you need to know about dry rot in order for you to have the upper hand against this home crumbling fungus. Dry Rot (or to give it it’s proper name, Serpula Lacryman) is a form of wood decay in which a species of fungi feeds off the goodness and cellulose of structural timber and destroys timber. Worryingly for property owners the damage caused by dry rot is not always visible and in most cases dry rot is not identified until damage has occurred. Dry rot favours location such as in lofts, under floorboards and behind plaster work where it can feed on timber unseen! Dry brittle Timber or Cuboidal cracking- caused by the removal of moisture from the wood. The timber is often dark brown in colour. Red rust like spore dust typically found in the region of fruiting bodies. The red spores are a definite sign of an active outbreak of dry rot in the property and that a fruiting body is lurking somewhere nearby. White or Grey Cotton-wool like substance (Mycelium Growth) Mycelium is used by dry rot to spread from one location to another in its quest for fresh timber to feed on. As well as the 3 characteristics mentioned above there is also the fruiting body itself. 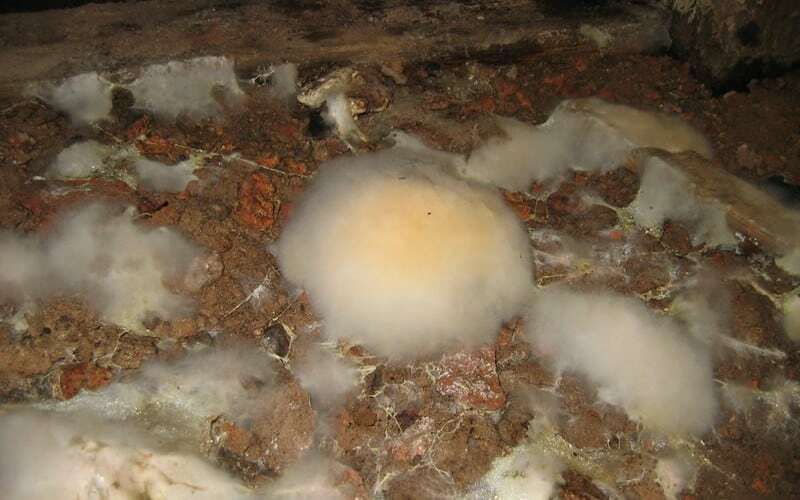 The fruiting bodies occur when the dry rot has run out of timber to feed on and needs to pump spores out into the environment in order to continue its life cycle. A damp, musty smell is also associated with the presence of dry rot. If this odour is noticeable in your property than you should look carefully for the other associated signs of dry to identify the source of the smell. The spores dry rot produce have the potential to cause respiratory problems if in sufficient quantity, however it is likely that there would be clear obvious structural implications at this stage which would prompt action to treat the dry rot problem. Dry rot is becoming an increasingly widespread problem for homeowners across the United Kingdom. What makes dry rot the most dangerous fungal decay is its ability to penetrate through building materials, devouring your timber and potentially spreading through your property like wildfire! If left untreated the repercussions of dry rot can be catastrophic; as the dry rot spreads to new parts of your property it becomes increasingly difficult to eradicate, consequentially costing you more and more money. What makes dry rot even more dangerously unique is its ability to reproduce when it perishes. When doing this it sheds its spores into the atmosphere in a hunt to feed on new timber. To eradicate dry rot we can do two things: we can’t extract air around us so we’re left with preventing the water and removing the food source. When a property has dry rot the priority is to remove any infected timber as soon as possible to prohibit the spread. Once the rot has been located and removed, chemicals need to be sprayed on the timber to prevent an occurrence of the dry rot outbreak. Equally important is to locate the source of water/moisture. Once found, it is essential to stop the leak to ensure rot will not arise again. In some specific cases ventilation may need to be installed to extract the moisture from the room. When dealing with such a severe problem as dry rot, it’s always best to leave it to the professionals. At Timberwise we have over 50 years of experience in dry rot treatments, a record that speaks for itself. 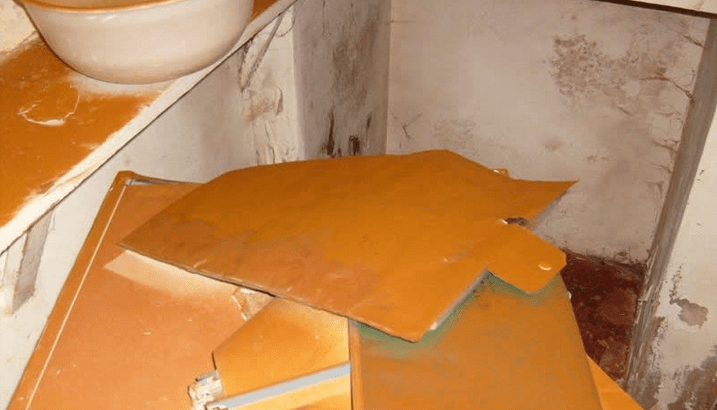 When dealing with the structural integrity of your property don’t take anything to chance. 1.Initiate primary control measures – identify and eradicate source of moisture, promote rapid drying. Without moisture dry rot cannot thrive. 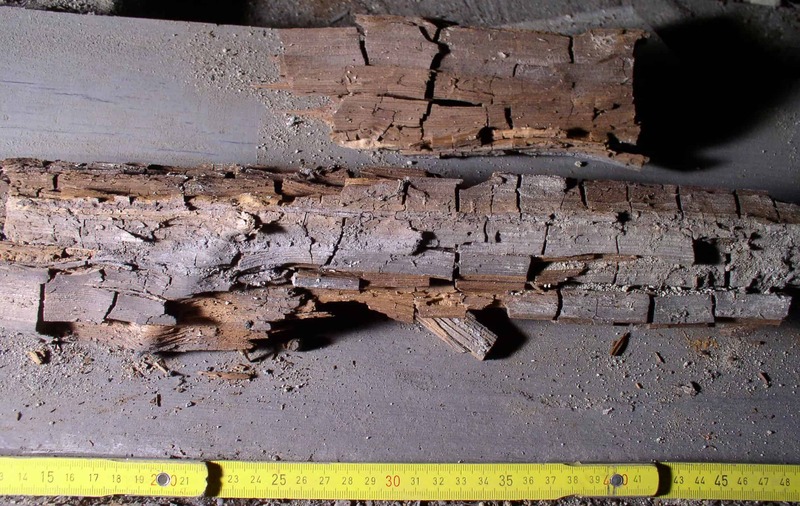 2.Initiate secondary control measures – remove infected material, replace/repair and consider engineering methods to isolate structural timbers. 3.Preservative control measures – masonry treatments. Don’t let dry rot happen to your property. Protect your family. Keep your house dry. Investigate leaks and clear out the gutters as moisture in properties is a primary cause of dry rot. As well as acting as a cause for dry rot penetrating damp issues can lead to further property care issues such as black spot mould and dampness.If ever in doubt, the team at Timberwise are only too happy to help with any dry rot questions you may have.